WP8 — Subsplash.com | Engage your audience like never before. It has been a very eventful season for tech companies and consumers everywhere. We have seen brand new product releases in the last few weeks from Apple, Google, Samsung, Nokia and more... but it seems that the biggest week of them all was had by Microsoft. Microsoft kicked off the week with a Windows Phone 8 reveal. With guest appearances by Jessica Alba and even Steve Ballmer himself, the event was by no means lackluster. With the focus of the campaign being ‘personalization’, Microsoft showed off all of the unique, brilliant, and intuitive ways that WP8 will change the way we use our smartphones. The features that really set WP8 apart from other devices on the market are the Live Tiles, People Hub, Kid’s Corner, Sky Drive, and newly improved Camera. You can get a full and detailed explanation of all of these features here. Microsoft has started their WP8 campaign with eccentric CEO Steve Ballmer narrating and showing off his own Windows Phone. 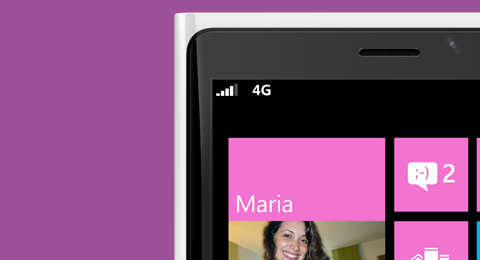 Microsoft is aggressively launching Windows Phone 8 with a rumored $4 Billion in advertisements. You can pretty much guarantee that even if you don’t end up being a WP8 fan, you’re at least going to hear about it - a lot. Although Microsoft has yet to prove its sticking power as a main platform against Android and iOS, it certainly made a great argument as to why it should (and will) be. Critics may still bring up the fact that Microsoft is entering the smartphone market behind the curve, but they’re able to counter that with familiarity and the ability to sync multiple technologies. They were already in a marginal position with XBox (in a market highly saturated with Nintendo and PlayStation) but were able to really discover what their customer’s wanted - and now hold the top spot above all competitors. So yeah, they’re used to being late to the party, but once they’re there... they’re not leaving anytime soon.